Every year, we spend one day partnering with non-profits all over Dayton to give back to the city we live in. 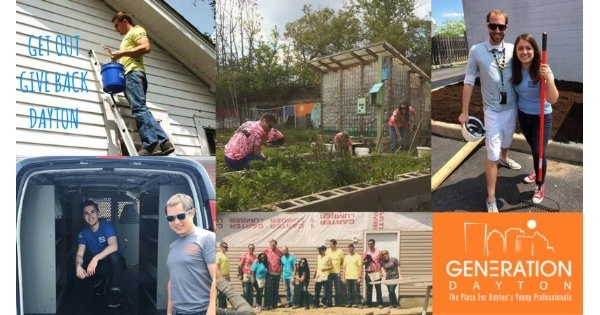 Gen D Day is Generation Dayton’s day of service where young professionals from the Dayton Region are invited to “Get Out and Give Back” in the community! This year, we’re focusing on an issue that is prevalent throughout the Miami Valley: Food Insecurity. Thousands of people in the Dayton area do not know where their next meal is coming from and we’re determined to make a difference through local nonprofits dedicated to this cause. Find more events like "Gen D Day"
Generation Dayton is the place where talented young professionals who live and work in the Dayton region can meet, network, learn, grow and establish themselves as integral components in the future success of the Dayton region. The Salvation Army Ray & Joan Kroc Corps Community Center offers recreational, educational, and spiritual programs to strengthen the body, mind, and spirit.